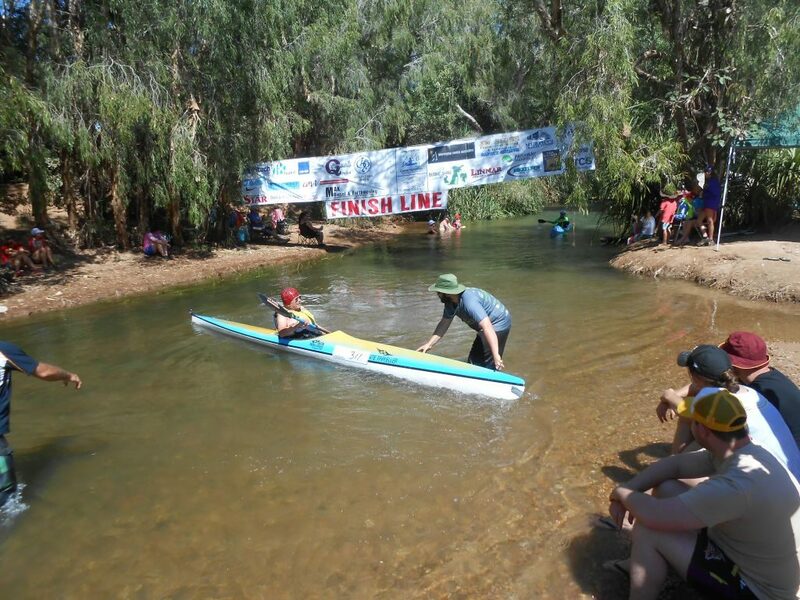 Gregory River Landcare Group members were very busy in the week before the Canoe Races. 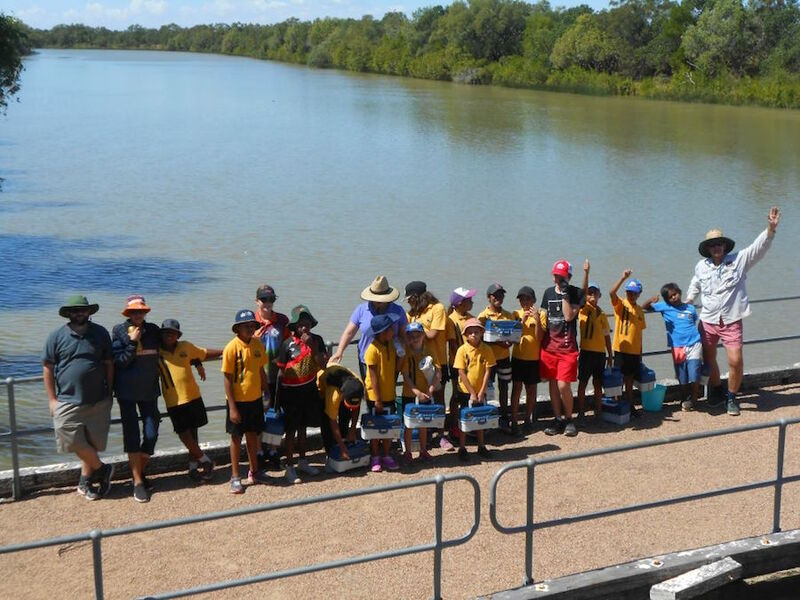 After establishing a campsite on the Gregory River, Mark Van Ryt (Gregory River Landcare Group) and a Brisbane volunteer Chris Gray (Bulimba Creek Catchment) relocated to Burketown. 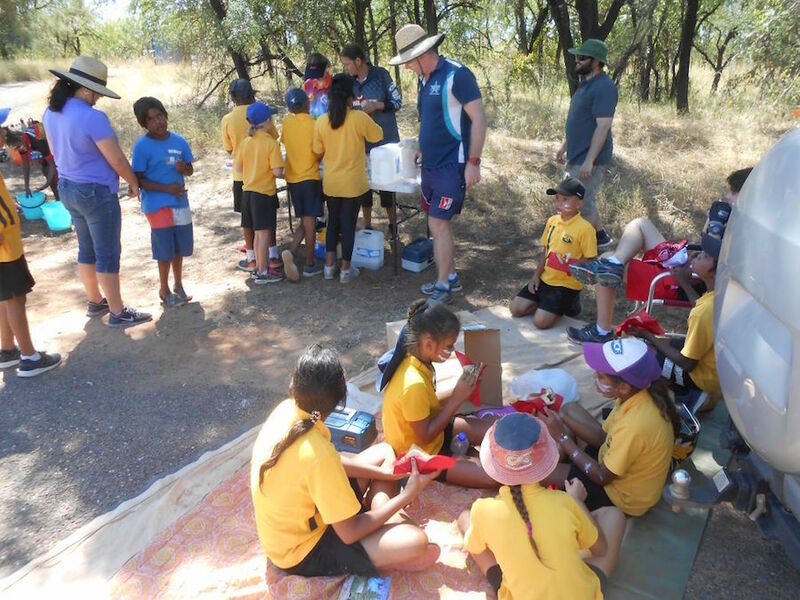 The pair had projects planned with the students of Burketown State School. On Wednesday the first project was a fishing activity run every second year with the senior school students. Each student received a well-stocked tackle box to take home to encourage ongoing family outdoor activity. 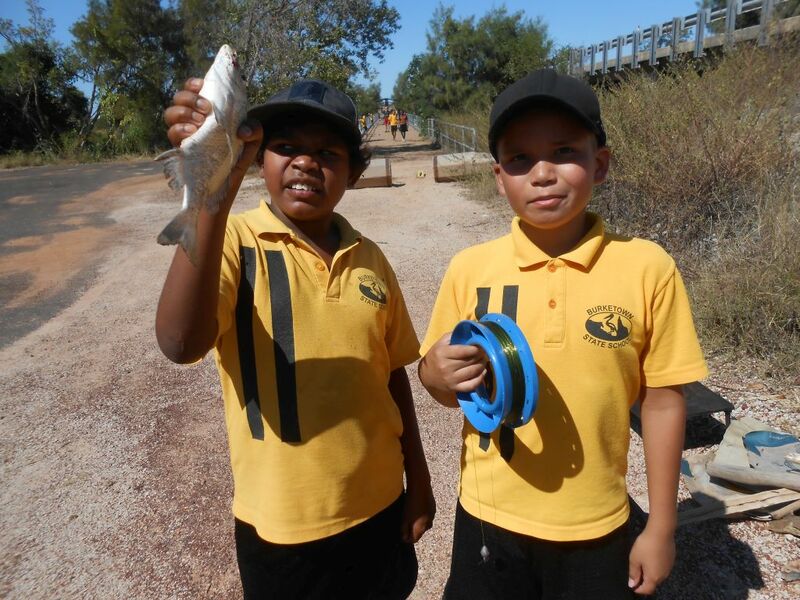 This activity was funded by the QLD Department of Fisheries via Sunfish QLD and the Mount Isa Fish stocking Group. 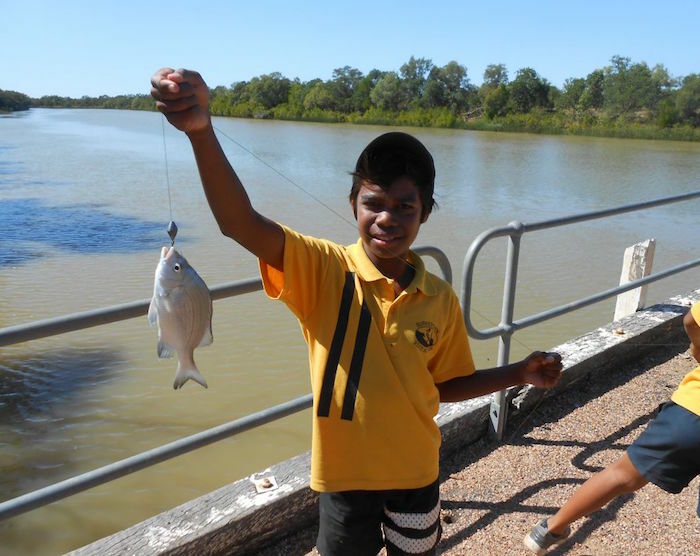 We always fish off the old Albert River Bridge where Burke Shire Council has established a safe family fishing platform. This time the students caught four bream and a catfish. They always enjoy the change from normal school activity. Mark took the opportunity to talk to the students about landcare. The environmental issues were already well understood as they were familiar with the good work of the local Gangalidda and Garawa Rangers. 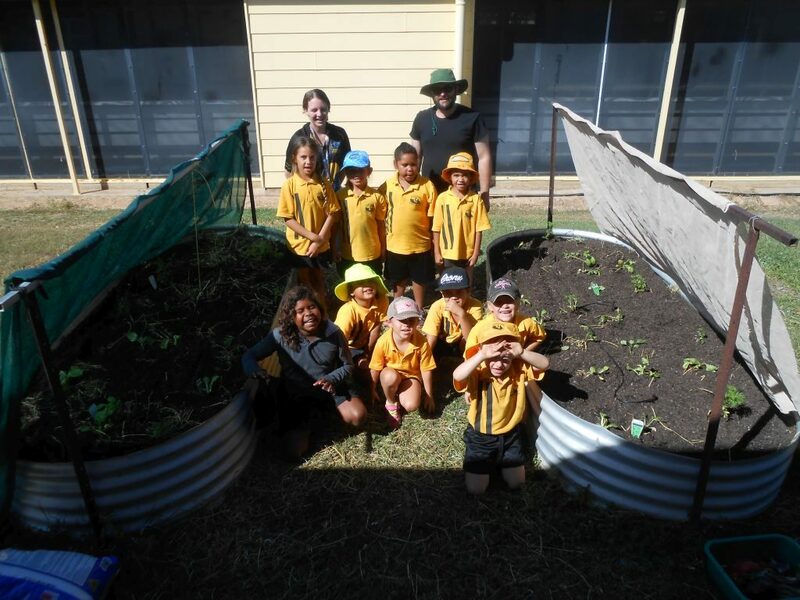 On Thursday our next project with the State School was to refresh and replant the “Healthy Foods Garden”. This time the whole school was involved with the seniors and juniors having one bed each. The students all love the opportunity to smell the fresh herbs and plant a wide variety of plants. 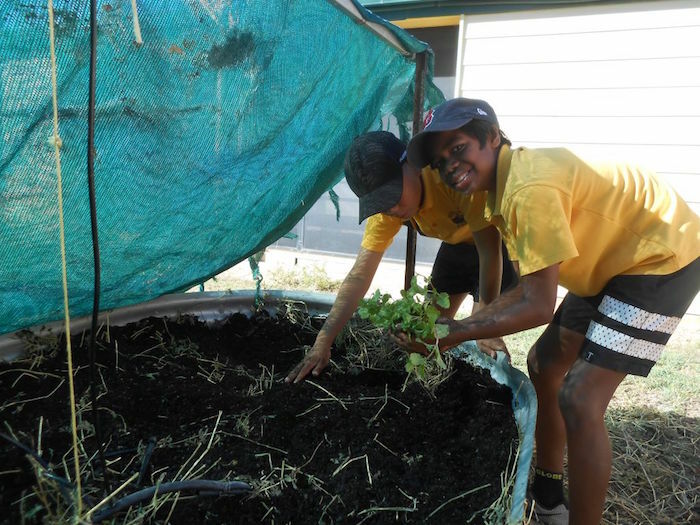 This particular Gregory Landcare project started in Burketown in 2009. It would not have been possible without the ongoing support of our friends from Brisbane. It was our good luck a sturdy landcare group in Brisbane, Bulimba Creek Catchment chose to befriend and support us. Since the foundation of the Gregory River Landcare Group in 2008, B4C has sent us funds and volunteers. These days the funding is harder to find but the volunteers are still coming, sometimes twice per year to help us do landcare activities. 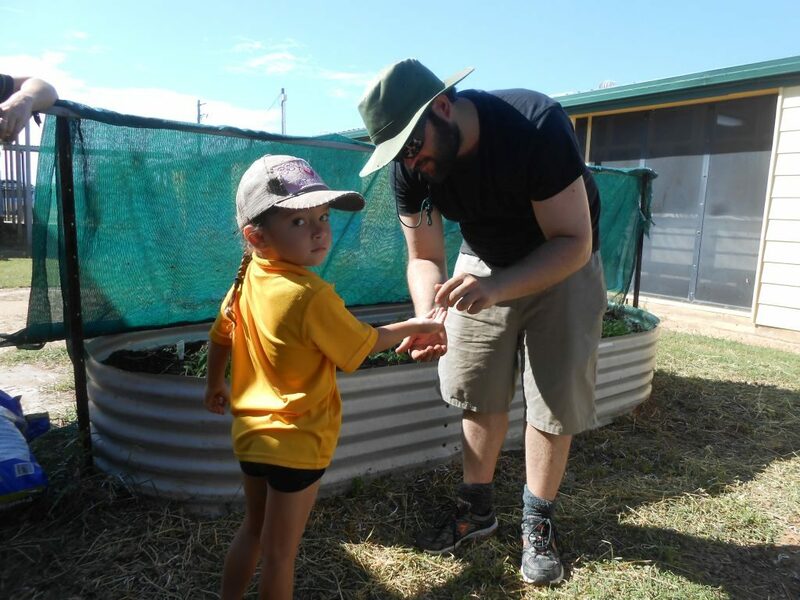 In May we do the school gardens, every second year the kids go fishing and in between we work together trying to hold back the rubber vine on the Gregory. The B4C volunteer this year, Chris, was a real champion. He was always ready to help with the next task and to offer solutions to problems. 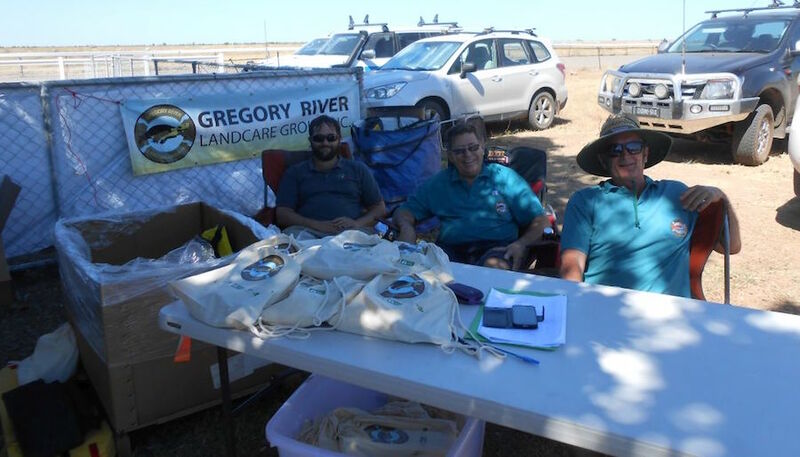 When we returned to the Gregory River campsite we were joined by landcare members Charles Curry from Southern Gulf NRM and Paul Johnson from O’Regan Partners Accountants. Apart from cutting and spraying more rubber vine, together our first task was to gather at the Gregory Downs Hotel on Friday morning to conduct our Annual General Meeting, chaired by local resident Megan Munchenberg. Saturday morning was registration time for the canoe race paddlers. 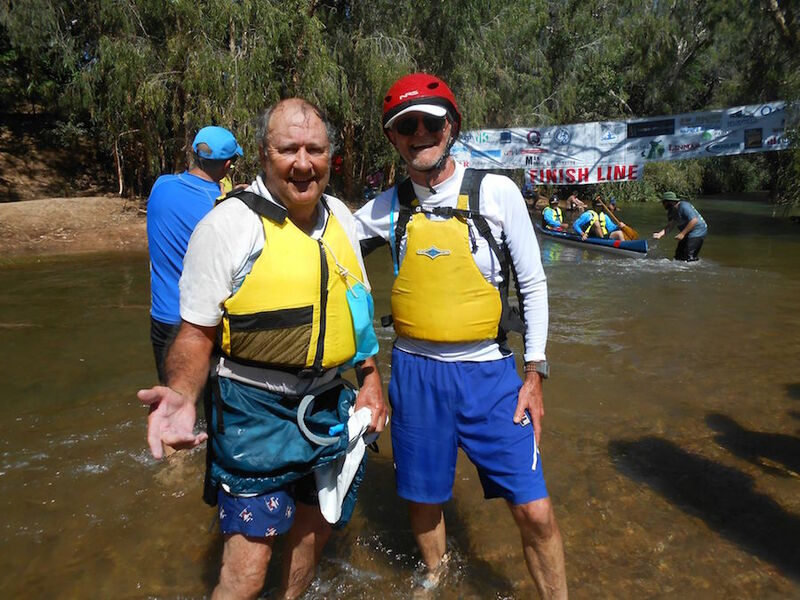 Gregory Landcare used the opportunity to support the North West Canoe Club by handing out enviro-bags to almost all the paddlers. The bag could also be called a hygiene pack. It contains various rubbish bags, gloves, shovel and tongs to encourage campers to dispose of waste correctly. It also includes information on weeds and advice on correct camping protocol. A big thank you to Pru Wharton the Regional Landcare Facilitator at Southern Gulf NRM for putting together the bags. Finally on Sunday, after a couple more sessions cutting and spraying rubber vine, the landcare group gave further assistance to the canoe club by manning the last check point. 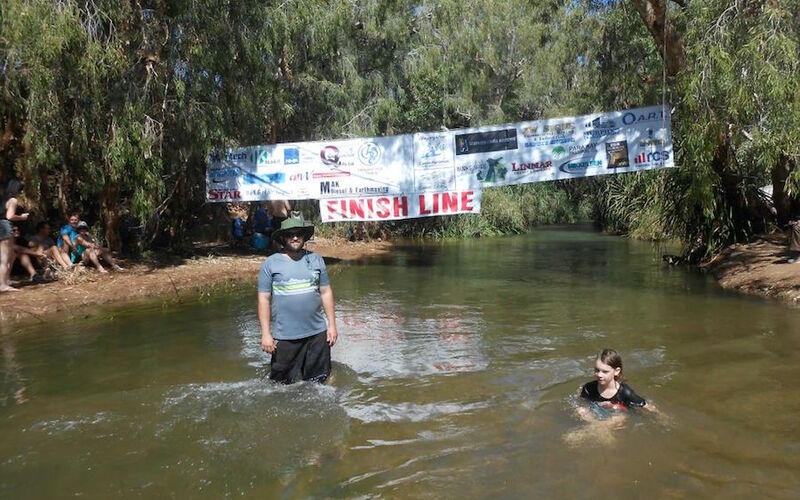 Chris our B4C volunteer became a familiar face at the finish line as he helped catch the almost all the canoes as they crossed the finish line. 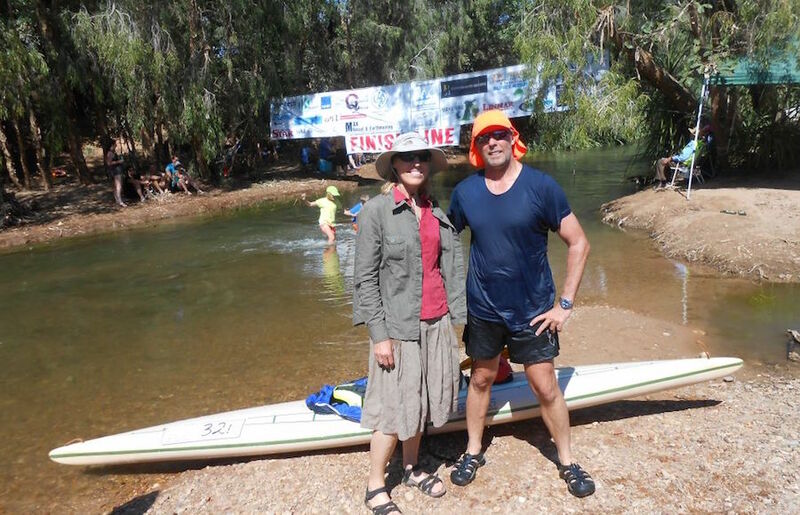 B4C’s Chris Gray at finish line of canoe races. Chris Gray, fishing, Gregory River, Gregory River Landcare Group, landcare, Mark Van Ryt, volunteering.